Jennifer McConnell’s career represents the path less taken. It has also led to an opportunity to be a C-suite executive at the largest food and support services company in North America. Jennifer McConnell has come a long way since waiting restaurant tables. That isn’t to say she’s left the food service industry entirely. In fact, her roots continue to deepen and grow as general counsel for Compass Group North America. A UK-based food service company, Compass entered the US market in 1994 primarily as a vending company. By the early 2000s, it had grown substantially in size, complexity, and food and facilities management service offerings. McConnell’s story doesn’t begin at Compass Group, however. For that, we have to go back to Baton Rouge, Louisiana, where she was a young girl growing up with a strong will and natural curiosity. She was close to her grandmother, who worked at a small law firm from the time McConnell was in elementary school until she was in college. One attorney at the firm, Jane Sherman, intrigued McConnell. McConnell had never known an attorney who was a woman before meeting Sherman, and her intelligence and confidence ended up making a significant impression. Later on in high school, McConnell would become greatly influenced by her political studies and history teacher, Karen Morrow. Morrow was a true mentor to McConnell, routinely commenting that McConnell possessed strong research, writing, and argument skills. Morrow challenged McConnell to think about her career goals at an early age and suggested that she consider becoming a lawyer. Between Sherman’s early impressions and Morrow’s career challenge, McConnell was destined to begin a journey that has turned into a successful and growing legal career. After working her way through college at Louisiana State University (LSU), McConnell moved to Atlanta, landing an entry-level job as a document clerk at a large law firm. But McConnell needed a way to further fund her education. With experience in food service from her time at LSU, she began waiting tables at one of the more expensive restaurants in downtown Atlanta. Before long, she became a manager of food and beverage, but knew this particular career would be short-lived. After several years working double duty at the restaurant and as a document clerk, McConnell had finally saved enough money to attend law school at Loyola University New Orleans beginning in 1997. She met her would-be husband on the first day of class, and together they supported each other throughout the rigorous time in law school. Upon graduation in 2000, she landed a position as a commercial litigator with McGuireWoods in Charlotte, North Carolina, which, by chance, had her working on a matter for Compass Group. McConnell seized the opportunity to move in-house with Compass in 2002 as a transactional attorney with a focus on government contracts. The move took McConnell out of the courtroom, but knowing it was a great opportunity, she took the risk and never looked back. Capitalizing on every opportunity Compass made available to her, McConnell found herself learning about new areas of the law and expanding her areas of responsibility on a fast-paced and regular basis. She was able to put her litigation skills to use again beginning in 2009, when she became assistant general counsel of employment and litigation. Thriving on the challenge, McConnell excelled and was promoted several times in her career, most recently in 2014 to her current role as general counsel for Compass Group North America. As general counsel, McConnell oversees all legal matters for the $16 billion US portion of the organization with roughly 220,000 employees. To this day, Compass Group North America operates twenty companies that provide contract food service and facilities management services to K–12 and university clients, healthcare facilities and hospital systems, ninety-two of the Fortune 100 companies, and large professional sports and leisure venues throughout the United States. To complement this structure, McConnell’s legal team of about sixty-five members treats each sector and sub-sector as a separate client. “My goal is for the legal team to be viewed as a commercial partner throughout the organization and to have each of the sector and sub-sector management teams feel comfortable in knowing that they have personalized legal support,” McConnell explains. She has created a structure within Compass that allows her team to prioritize both customer service and autonomy. “I have a passion for structuring and developing the legal team in a measured way and acquiring and cultivating the right talent and skill sets to fill the organizational needs,” McConnell says. Internally, the Compass legal team has a reputation for being a talented and commercially-minded group. This allows them to focus on options that achieve business objectives, as opposed to predominantly serving as a governance or control function. Another example of McConnell’s organizational development skills is a large reliance on outside law firms. 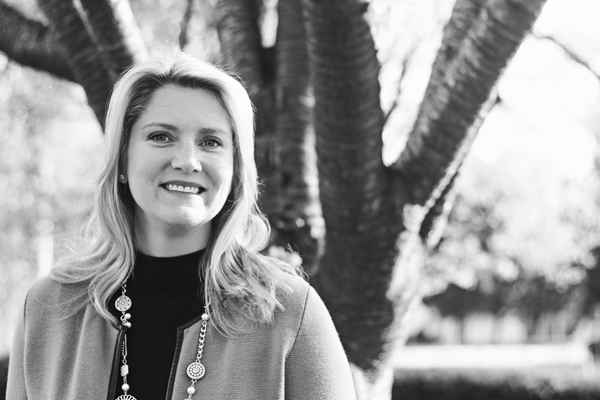 While Compass has some of the typical alternative fee arrangements one would see with legal departments in larger organizations, she is especially proud of the recent arrangement with Shook Hardy & Bacon, the firm tapped to manage all of Compass’ general liability and auto liability claims on a nationwide basis. Although overseeing this activity in such a regulated environment is demanding, McConnell is committed to spending time with her three children and ensuring that she does not miss any of their activities. “While work-life balance is a challenge for most executives, my first priority is to my family. I am grateful to work for an organization that supports associates in achieving their work-life balance goals,” McConnell says. In addition, McConnell recognizes that each step on her career path helped prepare her for broad organizational responsibilities. Of course, having the foundational legal skill set came first, but McConnell attributes her success to her early career experiences and her ability to adapt in a fast-paced environment. But she also stresses that progress and success are not gained solely on one’s own merit. Each person, place, and lesson have helped to shape McConnell into the leader, lawyer, and executive that she is today. She has earned her place on the Compass executive team, in the legal world, and she is living proof that with passion, drive, and strong leadership, a little girl from Baton Rouge can achieve her dreams and become general counsel for the largest food and support services company in North America.